Since Influence & Co. began practicing content marketing, we've seen truly impressive results. 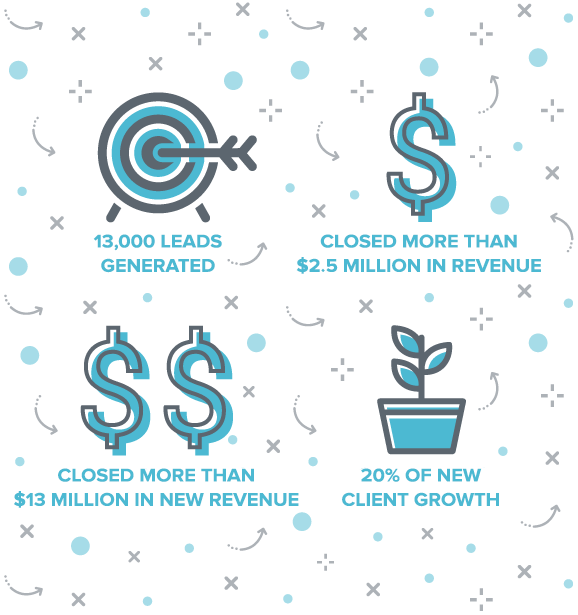 We've generated tens of thousands of leads, nurtured and closed millions in revenue, earned reputable industry awards and press, and become a trusted resource and true leader in our space. In ways big and small, our content has contributed to the company's growth over the past seven years, and we're confident it will continue to do so over the next seven (and beyond). That's because content builds on itself, and we've practiced it enough over the years to constantly improve and generate amazing results for our company. 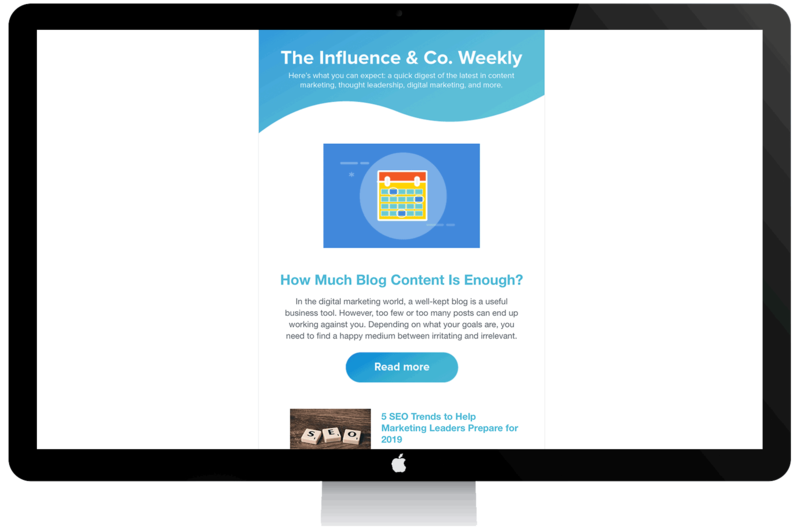 To see how we do this for ourselves and our clients — and how you can accomplish your own goals through content — here's a comprehensive look inside Influence & Co.'s approach to content marketing. Content is the fuel behind every aspect of a modern marketing strategy. It plays an integral role in how we at Influence & Co. communicate with the public, build relationships with our audiences, position our company, and market ourselves to clients and partners. Plus, content is a key element of our company's mission. At Influence & Co., we strive to endlessly improve the way content is crafted and distributed. We’re technology-fueled content creators who push the boundaries of what can be achieved for clients and readers alike. 1. Content is the strongest tool on the market for any team to accomplish a variety of goals. 2. The research is crystal clear: Content works. Nearly 90 percent of B2B marketers use content marketing. A whopping 88 percent of marketers agree that content is an important component of their company’s marketing program. 72 percent of marketers can demonstrate clearly how their content has measurably increased leads generated. 70 percent of marketers expect to increase their content production, while another 25 percent plan to produce the same amount as last year. 75 percent of marketers see positive returns from their content marketing efforts. Content marketing has had a substantial impact on our bottom line at Influence & Co. (more on the details of our ROI in just a minute! ), but we're hardly the only company to find success with it. With the right investment and approach — like a documented strategy, a team of dedicated experts, and access to the right technology to consistently create and distribute content — companies of any size in any industry can benefit from content marketing. 3. To offer the best content services to clients, we've got to be experienced experts ourselves. We help our clients — from entrepreneurs to mid-market companies to enterprise-level leaders — create, publish, and distribute content to gain influence, visibility, and credibility with their key audiences. To establish ourselves as a leading content marketing agency and to build trust with our audiences, we must be able to demonstrate that we know what we’re doing through our own content practices and products. To show (not simply tell) clients, leads, partners, and peers that we're experts in this space, we need content coming from us that proves it — content that educates our readers, delivers real value to them, and is high-quality, engaging, strategic, and free of mistakes. So How Exactly Does Influence & Co. Use Content? We've been publishing original thought leadership content coming from our internal experts and leaders in reputable external publications since we started our company in 2011. In 2014, we decided to really invest in our company's ability to consistently originate new revenue via content marketing efforts. So we launched our blog (The Knowledge Bank), invested in HubSpot, created an in-house marketing team, and integrated a content marketing strategy to guide our efforts. 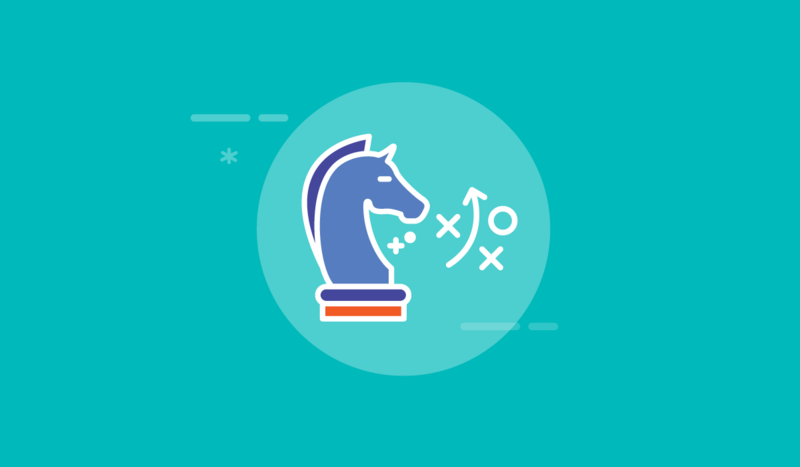 To create a strategy that meets your unique business goals, let our be your guide. Today, each of the content tactics our team uses is rooted in a comprehensive, documented content marketing strategy, which is driven by data and regularly evaluated, measured, and revised to align with our company goals and guide all our efforts. 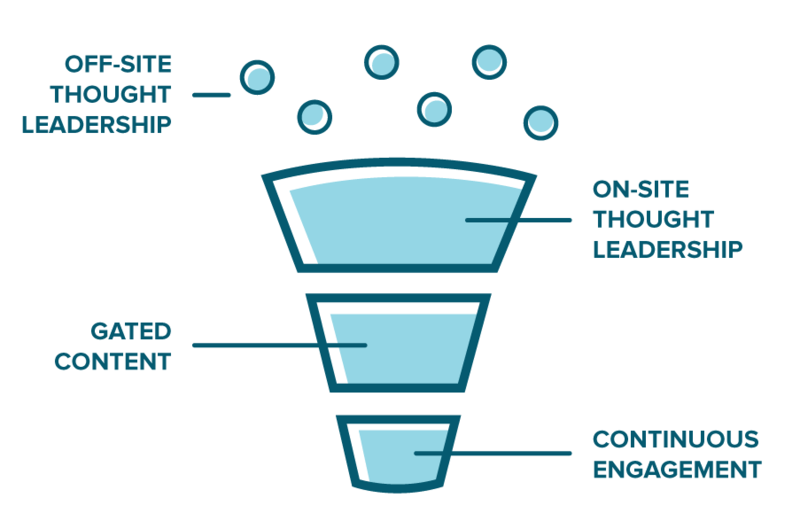 A documented content marketing strategy works to create a funnel of new business opportunities for you and your company. To execute that strategy, Influence & Co. creates a variety of different types of content and puts that content to work to ensure the right people see it at the right time. We start by consistently publishing thought leadership content in the online publications our audience is already reading, from household names like Forbes and Inc. — which each earn weekly contributions from our co-founder, John Hall ­­­­— to more niche sites like HubSpot and Content Marketing Institute. In that content, our thought leaders cover a variety of topics such as content marketing, PR, leadership, and more. Our guest posts give us the opportunity to speak to people in our target audience who might not already be aware of our company. They are driven in large part by industry trends and developments, as well as questions and objections our audience members have about content. And while we're always happy to cover company wins and exciting internal news in our content, we do so with a purpose that aligns with our marketing strategy so we're still delivering value to readers, even when we're sharing company updates. 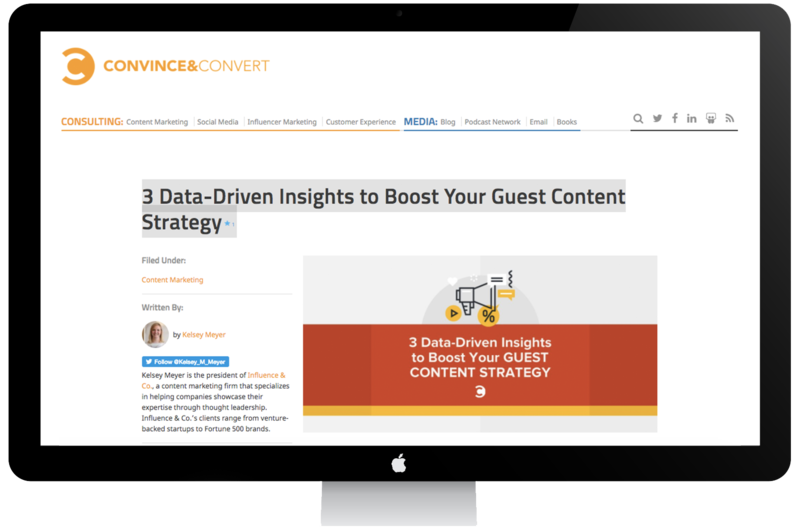 By including relevant links in that guest content to educational resources on our company blog and website, we're able to draw new readers to our site, engage them once they arrive, and offer continued value to them. We regularly maintain those content assets by publishing high-quality content to our blog weekly and auditing on-site content every quarter to ensure it's still relevant. 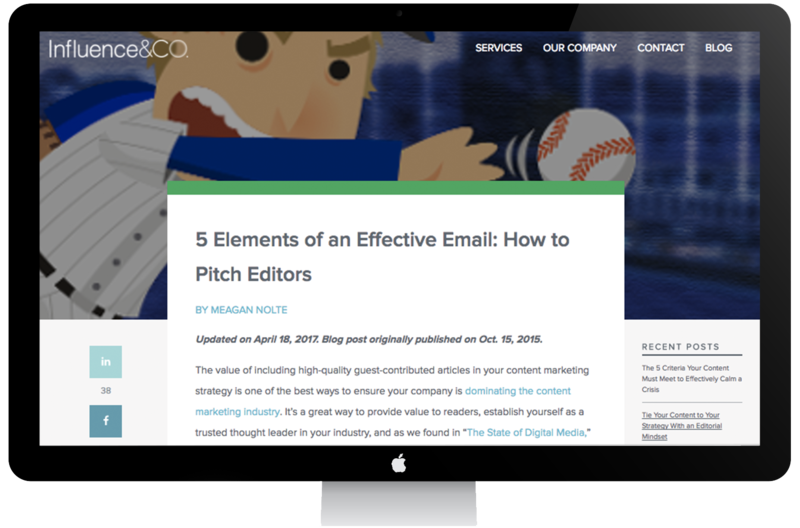 In addition to blog posts, our gated content — such as research reports, whitepapers, templates, guides, and more — allows us to offer even more value to our readers. More importantly, it enables us to effectively capture leads, who are then enrolled into highly segmented lead-nurture campaigns. With the contact information we use content to capture, we're able to build an online community and list of engaged leads who have each raised their hands, indicating they're interested in hearing from Influence & Co. Through weekly email newsletters, custom drip campaigns, personalized outreach, and more, our team distributes content to our leads via email that continuously educates, engages, and helps them come closer to a buying decision with each message. Our marketing team ties that consistent guest content to relevant blog articles and valuable gated content to create a content funnel, which has helped us build an effective linking strategy, earned us relevant backlinks from high-authority sites, and enabled us to generate and nurture leads over time. We've seen a marked increase in our search engine visibility and leads generated from content (one of our key performance indicators) since launching this approach. In fact, our guest posts in relevant online publications, the content we share on social media, and organic search traffic are consistently our top sources for marketing-qualified leads each month. Achieving these goals has taken more than just hitting "publish" on our best content, though. We leverage a solid distribution strategy that extends beyond even our own marketing department. Sure, our marketing team plays a big role in content distribution. Our social media and email marketing efforts are fueled by our content. 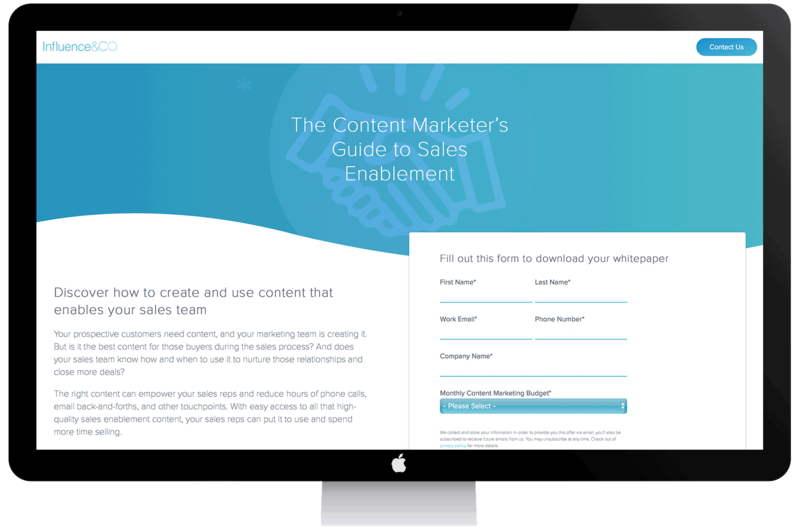 But our sales team also shares our content with leads and partners to answer questions, address objections, and offer educational resources throughout the sales process. Our HR department uses content to recruit, hire, and train new employees, and our account services teams send content to clients to educate them further about content marketing. Similar to the way our clients work with their dedicated content teams, Influence & Co.'s leadership team works with the marketing team to create and distribute content to reach company goals, such as lead generation, sales enablement, thought leadership, and brand building. We use the same process for content creation and the same custom content marketing software to streamline our communication, enhance collaboration, and track key content performance analytics. And we rely on a similar editorial workflow as our clients' dedicated teams to create content, visualize our process, and focus our time, energy, and creativity on the parts of the content process we're best suited for. In addition to these tools and practices, we also invest in a number of products to help us publish and analyze our content's performance, automate our email marketing, and capture leads, including HubSpot's marketing and sales solutions, Moz Pro, and Outreach.io. Our team is made up of a marketing director, who leads our efforts and drives innovation within the department; a director of content and social, who manages our projects, timelines, content creation, and distribution; a content marketing specialist, who creates and edits content to ensure it aligns with our goals and reflects our brand; and a creative strategist, who takes the lead on visual and multimedia content projects. The Influence & Co. marketing team is closely aligned with our sales team, and the bridge between the two is our inbound sales development rep, who qualifies leads, determines which leads our inside sales team should pursue, manages our online chat feature, and coordinates with marketing and sales on outreach and lead nurturing. Due to the influx of leads generated by marketing, we recently expanded our sales team to include two specialized salespeople who accommodate, nurture, and exclusively close inbound leads. This has led to an increase in calls and sales closed and improved inbound sales performance overall. Together, our team executes the content marketing strategy that helps Influence & Co. achieve a range of company goals — primarily lead generation, SEO, and ultimately new revenue for the company. As our company has grown and our expertise in content has increased, our marketing department has become more advanced in its analytics tracking. We've measured our progress since our earliest content efforts, and we've continued to innovate our department, integrating new technology like HubSpot and our custom content marketing software (ICo Core) and building processes to improve over time. For an exclusive look at our content marketing software and how it can help you, . Influence & Co. generated and nurtured more than 13,000 leads in 2018 using content and inbound marketing tactics. The primary sources of those leads were our guest-contributed content and PR efforts. A majority of marketing-generated sales came to our company through our guest content and organic search, which is produced and distributed using the exact same services we offer clients. In the past two years, Influence & Co. has closed more than $2.5 million in contracted revenue that originated from these content marketing tactics. In addition to the new revenue that Influence & Co.'s marketing team originated via its content marketing efforts, content also plays an important role in nurturing leads generated from other sources. Our sales team uses content every day to help overcome barriers and educate leads throughout our sales process, which has helped us close more than $13 million in new revenue over the past two years. Over the past three years, nearly 20 percent of new clients brought on came from Influence & Co.'s inbound marketing efforts, making it the second highest source of new sales consistently for three years. While these numbers are impressive, not every opportunity that content marketing generates is quantifiable. Content marketing is a long-term initiative, and plenty of companies put an end to successful content programs because they measure them only in terms of hard numbers without considering the big-picture implications and qualitative benefits. 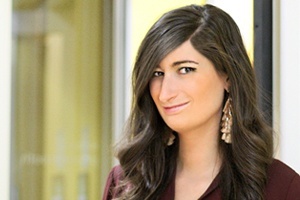 Influence & Co.'s co-founders, Kelsey Raymond and John Hall, have become sought-after speakers, panelists, and contributors at some of the top conferences and events in the country, including Content Marketing World, INBOUND, HubSpot's Digital Agency Day, and Collision. Influence & Co. and its leaders have earned impressive, competitive industry awards, including EY Entrepreneur of the Year for Best Emerging Company, Forbes 30 Under 30 in Marketing and Advertising, consistent placement on the annual Inc. 500/0 lists, No. 72 on Forbes' list of America's Most Promising Companies, and finalist for Content Marketing Agency of the Year. John, Kelsey, and Influence & Co. are consistently mentioned in major online publications as leaders, innovators, and influencers, which helps build credibility around our brand as a true industry leader. Each year, we consistently hire new employees, using our content to attract and educate some of the top talent in the industry. Our internal professional development days use our content to train and offer ongoing education to our team, which helps our team members stay up-to-date on trends and tactics, offer better service to clients, and nurture leads. Our sales team members use our content as an educational touchpoint for all of their conversations with prospective clients, allowing them to focus more on selling our services rather than educating leads about content marketing, while giving them an engaging touchpoint to nurture leads and stay relevant. We have become a trusted resource for education in the marketing industry. Whether an engaged contact decides to work with us or not, our content helps us stay in front of our audience by offering continued resources that are truly valuable to others in our space. After consistently contributing to online publications for the past five years, John was able to compile the major content marketing and leadership ideas, themes, and tactics he'd been exploring and expand upon that information by writing and publishing a bestselling book, "Top of Mind." 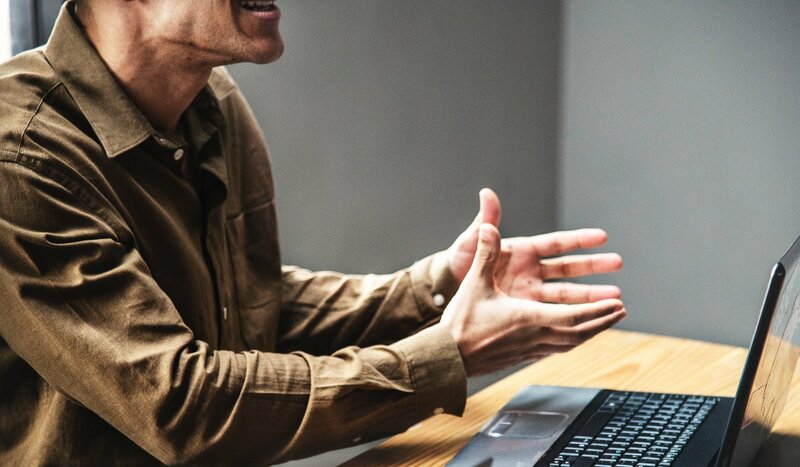 Now, it’s not exactly unheard of for leaders to be approached about speaking at conferences, building partnerships, contributing to publications, providing quotes for articles, or being guests on podcasts. What is rare is for it all to happen at scale. This kind of opportunity only happens when you’re consistently creating content that showcases you and your company as trusted experts and distributing it to the right people in your audience. We do this at Influence & Co. every day — for our own company and for our clients. These kinds of results are achievable if you truly invest in content marketing. 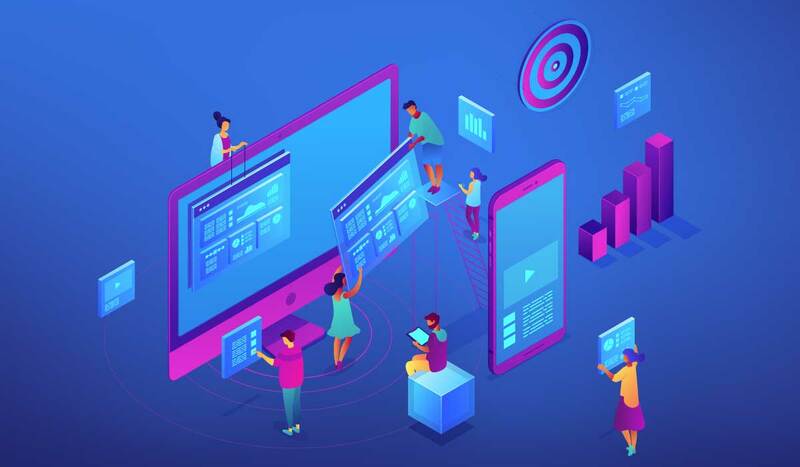 An effective in-house content marketing program needs solid investment in a few key areas, including a team of specialists and the software, tools, and platforms to help that team do its best work. 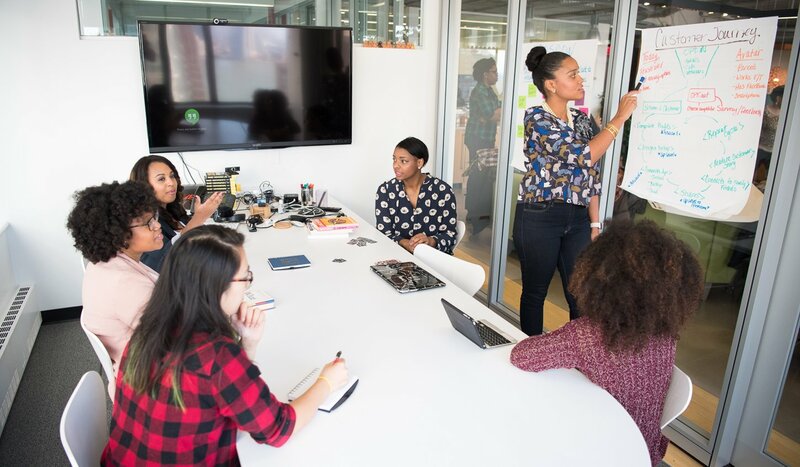 Ultimately, the investment decision comes down to whether your company has the ability and financial resources to build this team in-house or whether it makes more sense to partner with an outside agency. Rather than piece together and budget for full teams and tools on their own, Influence & Co. clients are partnered with their own dedicated teams of experts and given access to powerful custom software — all for one fee. Influence & Co.'s internal approach to content marketing is the same one we take to help clients find content marketing success. If you're looking to achieve real results in content marketing, let our proven processes, proprietary technology, and team of experts help you. To learn how Influence & Co. can use some of its own tactics to help you with your own content marketing, set up a call!